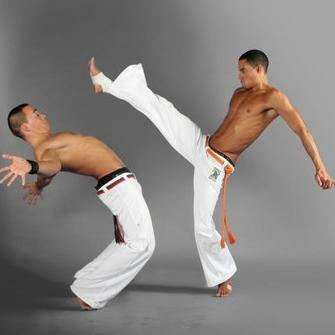 The Brazilian martial art of Capoeira draws its influences from dance, acrobatics, fighting and games, culminating in a phenomenal show of flexibility, stamina, and strength. 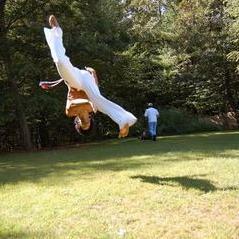 The use of traditional instruments such as the berimbau, tambourine and drums, along with live singing and chanting makes Capoeira an exciting game of technique and strategy. Watch as these performers cartwheel, flip, and dodge each other in a beautifully controlled dance that will amaze and impress. You may have seen this group performing on the BBC TV indent; an indent which resulted in Capoeira gaining more popularity nationally and internationally. Now very popular on the streets of London, and with dance classes popping up everywhere and for all ages, Capoeira is the game to play this season. For more information on Caopoiera dancers or any of our other entertainment acts please contact your Account Manager.